← Race for Hope- Thank You to our Supporters! Please welcome live music entertainer to the stage at the L’amour ‘a Paris Art Show & Auction. 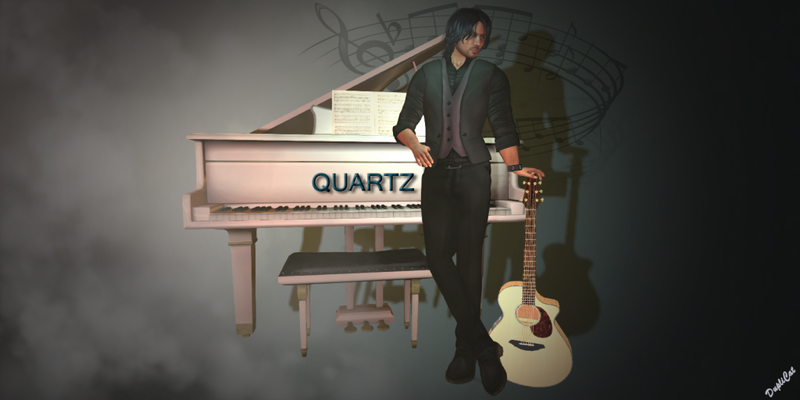 He will be performing at the event on Saturday, June 10 at 4pm slt. Quartz also does tributes to Sir Elton John, Pink Floyd, Queen and The Eagles. All proceeds from this event will go directly to the American Cancer Society. This entry was posted in American Cancer Society, Relay For Life of Second Life, Second Life, Team Events and tagged ACS, American Cancer Society, Art Auction, Art Show, Artwork, Awareness, Donate, Donation, Entertainment, Events, Fundraiser, Fundraising, Inspired Dreamwalkers, Inspired Dreamwalkers RFL, kiosk, Live Performance, Quartz, Raffle, Raffles, Relay For Life, Relay For Life of Second Life: Passport to Hope, RFL, RFL of SL, RFL of SL 2017, Second Life, sl, Team, Teams, vendor, volunteer. Bookmark the permalink.